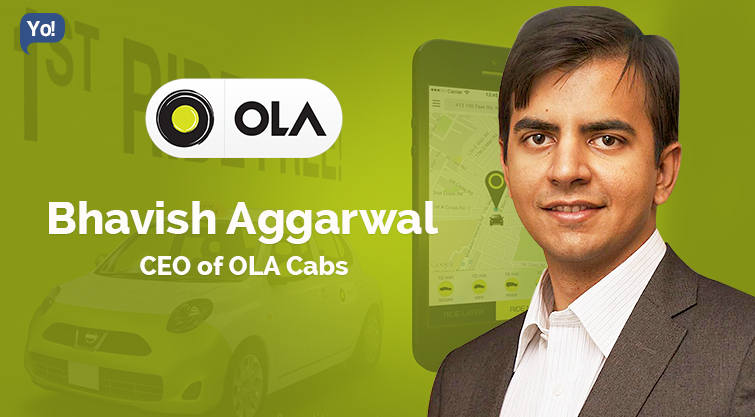 The 29 year old IIT–B Grad – Bhavish Aggarwal is the founder & CEO of India’s most popular Cab Aggregator OlaCabs. OlaCabs, more popularly known as Ola, is just like any other marketplaces online, but more specifically into providing Taxi services. 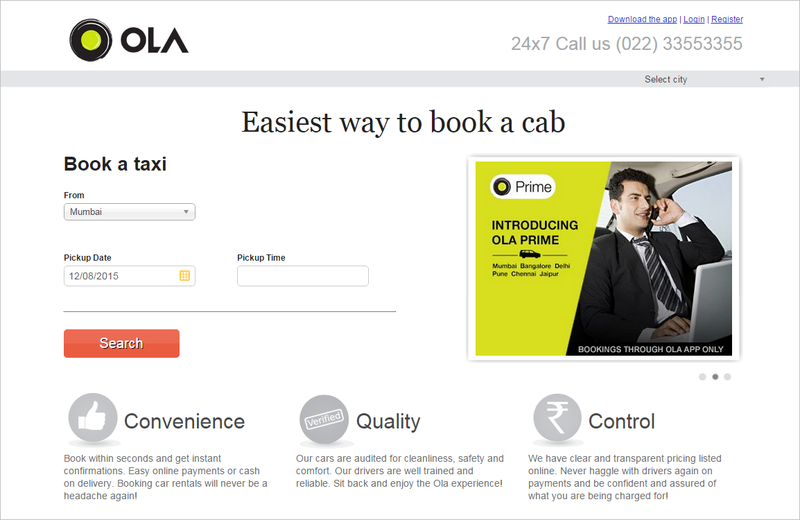 Ola, which started as an online cab aggregator in Mumbai, now resides in the Silicon Valley of India a.k.a. Bangalore, and is also known to be one of the fastest growing businesses in India, out-beating its competitors Uber & Meru. Coming back to the man behind Ola; simple yet charming Bhavish, with the success of his prodigy has certainly become the talk of the town. But even after becoming a millionaire, he still prefers to not buy a car and take a cab (to set an example, we presume), certainly doesn’t goes down well with his wife. 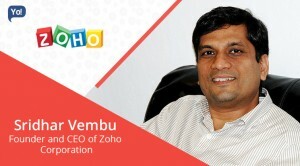 He believes that, such is a small price that every entrepreneur has to pay. Anyways, when not crushing his competitors, one can catch Bhavish cycling, playing squash or doing what he loves the most – photography. He also maintains a largely popular photoblog! Born in Ludhiana, Bhavish just like every other success-driven and successful entrepreneur, began at a very early age. 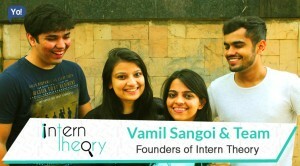 Soon after he completed his Bachelors in Technology (Computer Science and Engineering) from IIT – B in 2008, he started his career with Microsoft Research India as a Research Intern and later got reinstated as an Assistant Researcher. During his more than two years of stint with Microsoft, Bhavish managed to file two patents and also got three papers published in the international journals. 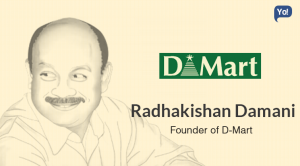 Now what many aren’t aware is that, while he was at it, he had also turned into a blogger and had founded his own prodigy called – desitech.in. Desitech was all about hosting content which was mainly focused at technologies which again were inclined towards the Indian scenario. 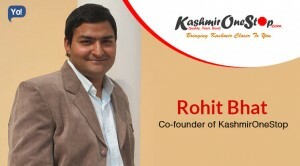 This content was a collection of start-ups in India, events and / or any other exclusive news. 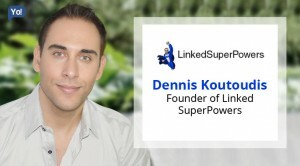 Anyways, during this same time, he took the biggest decision of his life and turned his personal pain-point into his first entrepreneurial venture! After quitting Microsoft, Bhavish started an online company which dealt into selling of short duration tours and holidays online. Now while he was at it, he happened to rent a car from Bangalore to Bandipur and had a lasting bad experience. The driver of that car stopped right in the middle of the road and started re-negotiating the while deal. When Bhavish refused to agree to his terms, the driver proceeded to abandon him en route his destination. The entrepreneurial-headed Bhavish, instead of whining about the situation or rather the problem, decided to solve it good, and at large! Because he got a first-hand experience of such a problem, after decent amount of research also realised that, this in actuality was a genuine and deep rooted problem for the masses. A lot of customers had fallen prey to such situations and were desperately in need of a quality cab service. That was when for the first time, he could vision the amount of potential a cab booking service could have. 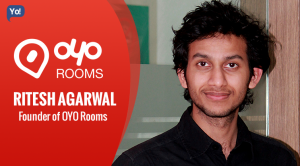 And after basic calculations, Bhavish changed his business from the earlier mentioned start-up to – OlaCabs. 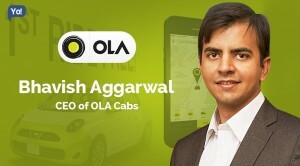 Ola was the collective prodigy of Bhavish Aggarwal and Ankit Bhati and was officially owned by ANI Technologies Pvt Ltd, which translated to ‘Hello’ in Spanish! This change including the entrance of Ankit Bhati was brought about somewhere around December 2010. His solution was simply introducing a technology that bridged the gap and connected the cab owners with the commuters through the Internet, telephone or a mobile phone app. On the other end, just like every starting entrepreneur, his parents too didn’t support his new venture as well, and for them he was as good as a ‘travel agent’. Basically a lot of pressure. 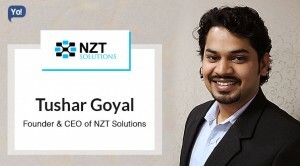 But nevertheless, their support increased as they got their first round of angel investment (from Snapdeal founder Kunal Bahl, Rehan yar Khan and Anupam Mittal.). 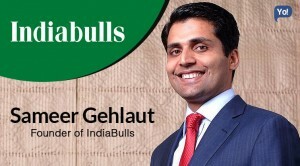 Moving on, Bhavish’s believed that anyone can have a good business idea but to function it successfully one must a scalable models upon which the business runs. According to him, the best or one of the best & safest model one can or should adopt is running a business with owning “zero” inventory. And following his own words, Ola, didn’t buy even a single car and instead rented them. They went on to partner with a long range of Taxi Drivers, and all he did was added a touch of modern technology to the whole thing through which consumers could book cars at a short notice via their call centers or via their app. Simply putting it, their strategy was to leave no stone unturned; be it attending customer calls to driving a passenger to the airport while managing the operations, they did everything. And on the other end, to woo the drivers, they used an equally unique strategy! For the first few months, they used to pay drivers 5000/day tips + no salary. Provided they met the criteria which was that, a Driver must have completed one single trip for that given day. To add to that, the Integration Devices which they use were provided free of cost! During that time, with a rough potential monthly income of 1.5Lakhs literally every driver, even including many part-timers did anything to get themselves attached with Ola. As their motive was fulfilled, later this payment module was reduced to half i.e. 2500/day and then 750/day tips + salary consecutively. And now the tips would be provided only if they covered minimum 10 trips in a day. Now clearly, the idea of cabs was not new to the Indian market, and there already were players like Fasttrack who had established themselves. There were radio Taxi services in every city of the country which used to run in the interiors as well, and you could easily find some of them at the airports and railway stations. Not to forget the car rentals and travel agencies. Basically, all of these had more or less a focus which was on similar lines. So what made Bhavish or Ola One-up? Bhavish very smartly had taken only cars which had an All India permit (similar to travel agencies) and used to run them both inside as well as outside the city. And then there were the unique and budgeted plans which they used to offer, to lure the customers. But more than all that or what at least on an equal note, what helped them was M-commerce (mobile). 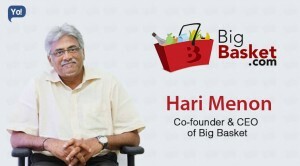 Bhavish could clearly see that, M-commerce was growing at the speed of light and would only get better in the times to come. Hence, given this environment, it would only become far more easier for the consumer to knowledge or data without much of a hassle, merely through their Smartphone. And with the amount of connectivity this would create would only increase the convenience for the masses. Bhavish decided to capitalise on this untouched factor, and took the leverage of this growing industry. And with the help of such ahead of its time & long term strategies, the company began to grow at the speed of light. By 2014, the company was now pocketing a network of more than 200,000 cars across 100 cities. Additionally, it was also clocking an average of more than 150,000 bookings per day and also was now sitting on 60% of the market share in India. They launched their Ola Mini service in Bangalore & consecutively in Delhi (NCR) with a fleet over 250 cars and were also in preparations to grow to 800 by 2015. Their offer again was pretty unique and luring. They had started with a introductory price of Rs12/km with a base price of Rs.150 for the first six kilometres, making them the cheapest AC cab services available. Next, by the end of the year, Ola also expanded to incorporate autos in Bangalore and also expanded this service to other cities like Delhi, Pune and Chennai. Later, they announced their biggest news so far. OlaCabs bought TaxiForSure or TFS in March 2015 for about $200 million. Although, this wasn’t their initial plan. 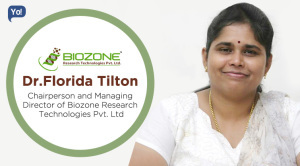 Their initial purpose was to fill in their huge requirement of drivers and hence, they had first tried to attract their drivers by paying them some Initial Bonus + Attachment Devices Free of Cost, but since they failed, they had to buy the company to maintain their stable growth. 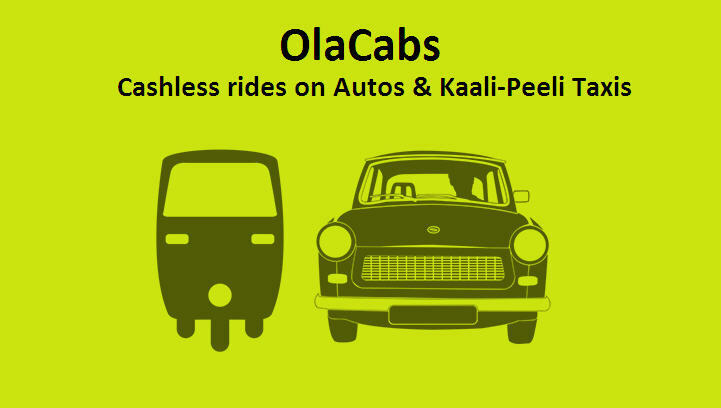 Additionally, Ola who so far only had worked with Drivers, had now also begun working with the cab operators after the acquisition. With this acquisition in place; they also launched “Cashless Rides” which not only worked with the cabs on their network, but was also extended to “Auto rickshaws and Kaali-Peeli taxis” as well! And lastly, Ola recently has launched “Ola Cafe”. In simple terms, through this service one can order food, grocery, vegetables etc., and get it delivered to their households. And when you look at Ola today, it has gone on to become India’s most popular mobile app for cab booking, out-beating their competitors like Uber. To add to that, they are also the largest platform with 40,000+ cars across almost 100 cities (2015) and growing. 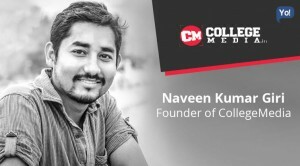 Talking about their funding; Ola has raised a total of $676.8 Million so far from investors like SoftBank, ABG Capital, Accel Partners, Mauritius Investments, Tiger Global Management, Matrix Partners, Steadview Capital, Sequoia Capital and DST Global. Their current valuation is roughly $3.5 Billion.